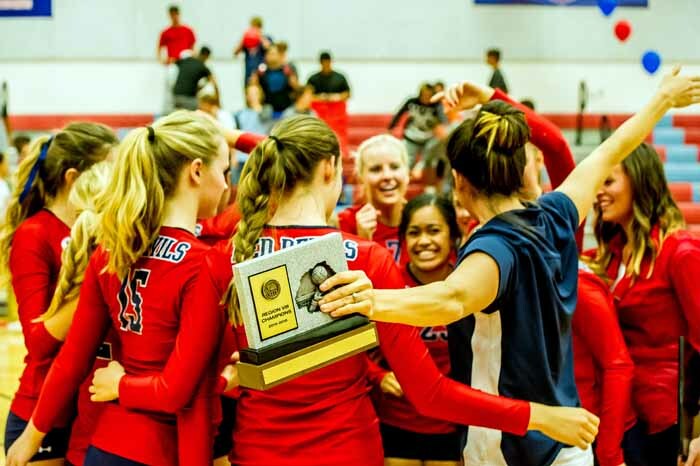 In describing her star player, Springville High volleyball coach Julia Smith can hardly get through a sentence without using the word “outstanding.” Amanda Schultz will graduate from Springville in December, to get a jump on things at Dixie State University, and her list of high school accomplishments is extensive and impressive. 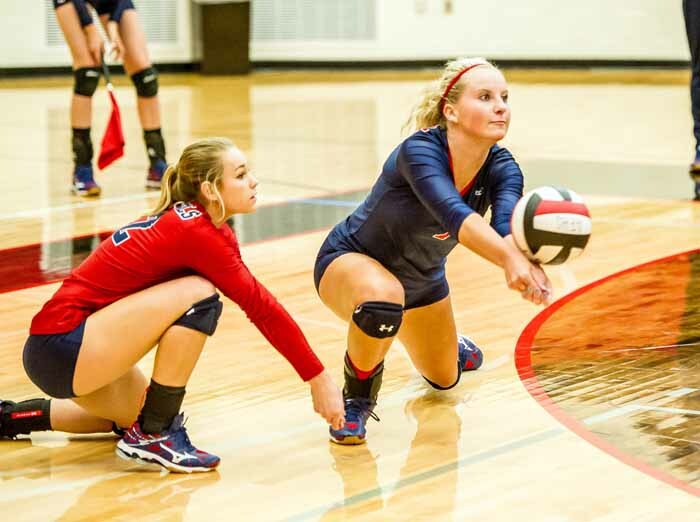 The outside hitter is a four-year varsity starter, and for three of those seasons, she has been a team captain. 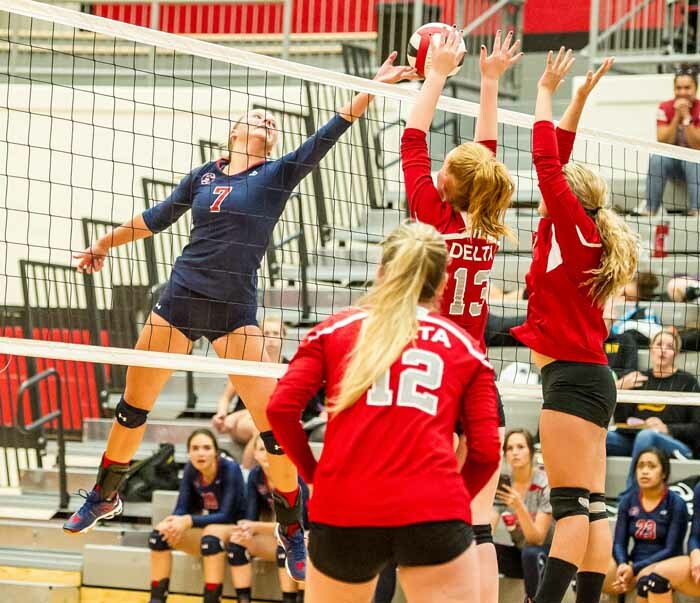 She has more than 1,200 kills in her career, with 400 of those coming this year and she has been an all-state and all-region player in addition to an academic all-state honor this year due to her athletic excellence and a 4.0 GPA. The list goes on and on and on. The thing about Schultz is her Midas touch. Everything she touches turns to gold, thanks to her hard work and effort. She is not just a great athlete, but she loves music and school and life in general. Schultz gives much of the credit for the person she’s become to her family. Her parents and three siblings are always there supporting her, when she is playing volleyball and in every other aspect of her life. They listen to country music, play games and sing together. Smith credits some of Schultz’s competitive drive to her family dynamic. It’s a concept she read about in a book. “My coach was actually telling me about this,” Schultz said. “She was reading this book called Top Dog and it talked about families who have the middle kid, it comes for always looking at your older siblings and the family competitiveness. I have that in my family. With the competitive nature of family life, the most notable characteristic of the Schultz family is support. They are there for each other. It usually works out because Schultz does the things necessary to make that happen. She puts her school work first and lets the other things fall into place. Smith calls the three-year team captain a “rock star” because of the way she carries herself and her commitment to excelling at every part of life. Smith is a leader and she understands what it means to carry that role. She knows her team relies on her and she relies on them, and she sees her ability to play a role in creating a successful environment. 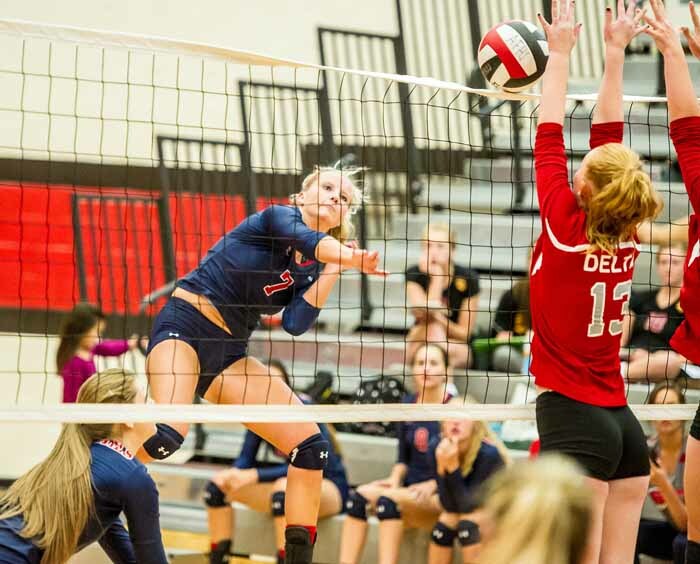 The senior does not worry about the difficult situations in volleyball because she has faced stress many times before in all aspects of her life. Among all of her traits, Schultz stands out among her peers and is a leader to her teammates. Schultz does the little things that draw people to her. Her coach believes her style of leadership specifically makes everyone around her better. “She’s awesome,” Smith said. “It’s unique. A lot of players with her stats and her ability to execute kind of have this essence about them that they’re better than the people around them that’s hard to break through, but her team adores her. She genuinely cares about them individually. “One of the best qualities she has is she always finds a way to encourage and she doesn’t blame. Just from my experience as an athlete, the one that’s playing the best typically has the most reason to blame other people for the team’s mistakes or faltering. That doesn’t even cross her mind. Her purpose as a leader, and she knows that, is to strengthen her team. Since Schultz arrived on campus with the other seniors in her graduating class, a lot has changed with volleyball at Springville High. What was once a struggling team has been transformed into one of the best programs in Class 4A. From that turning point, the Red Devils have created an environment that is designed to compete in the long haul. These young ladies are succeeding both on and off the court. “Something we have that’s different from any other team I’ve been on…there’s no drama, which is unique because we’re teenage girls and there’s no selfishness,” Schultz said. “We’re genuinely happy when the other girls succeeds. There’s that trust and that synergy where we’re better together than we are individually. Instead of just six individuals on the court, it’s just one unit. With those friendships in place, Springville has taken its on-court game to another level. With all of her other responsibilities, Schultz still finds time to work with the Especially for Athletes program and to serve on the Springville student leadership council for that program. E4A encourages student athletes to use their status on campus to bless the lives of their classmates. As she prepares for the next chapter in her life, Schultz feels she has taken care of business so far.